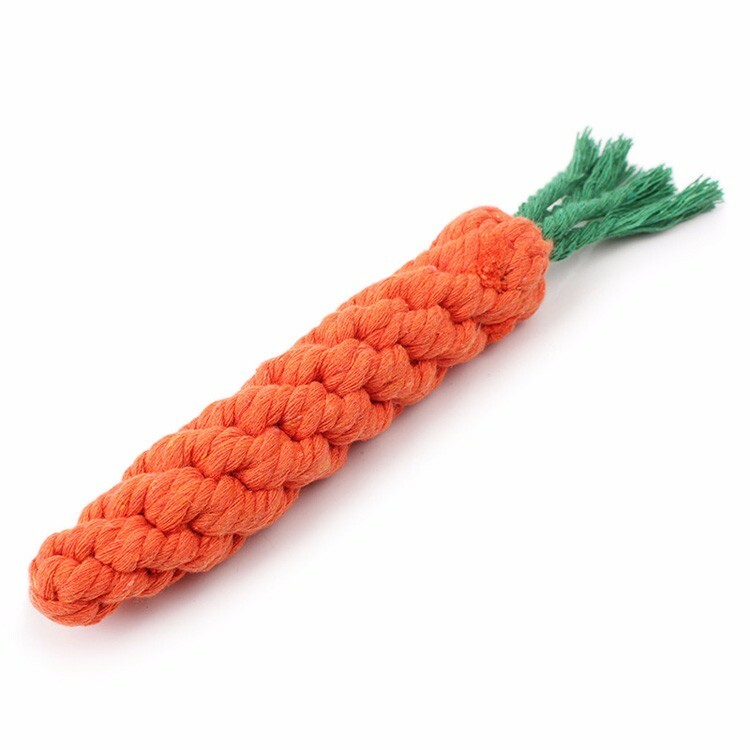 The Long Braided Cotton Rope Carrot Chew Toy is fun for pets and their parents. 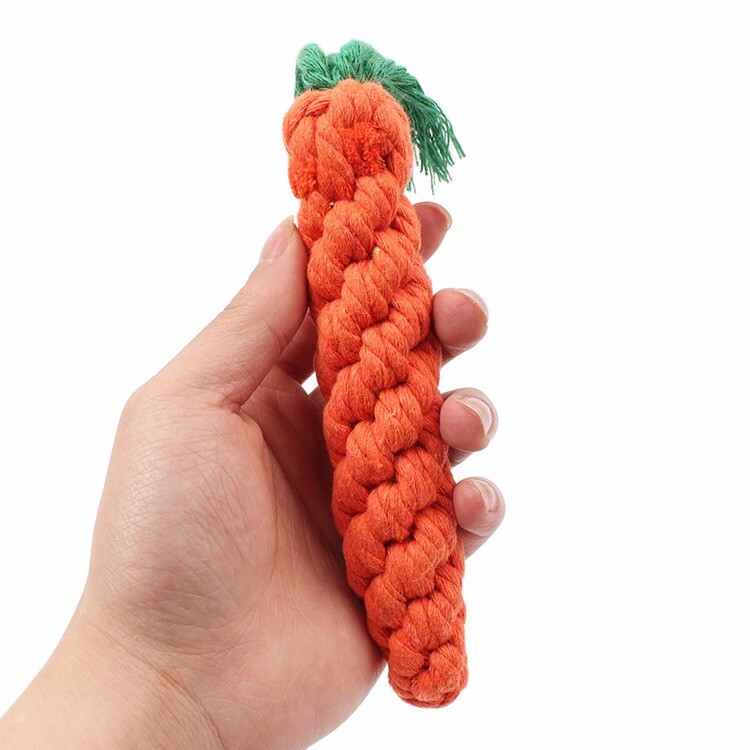 This adorable plush toy is made with braided cotton for long-lasting games of fetch and tug-o-war. 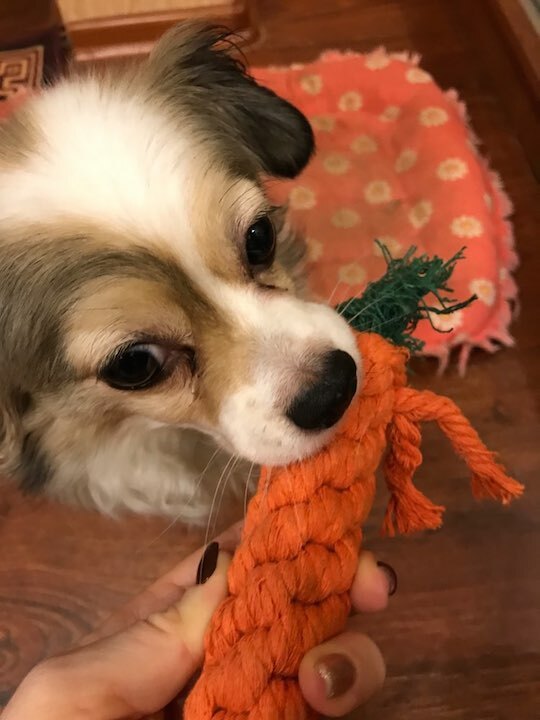 The unique and varied textures on the outside intrigue dogs and promote active play. Entertaining design. 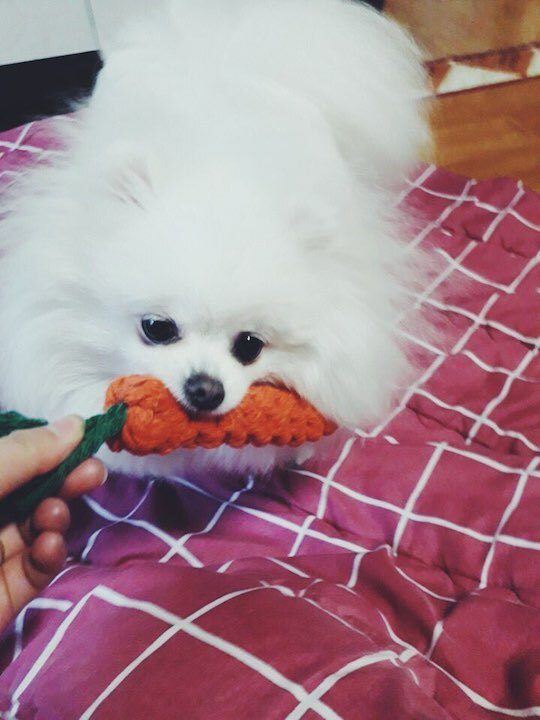 Soft carrot toy with blended textures that intrigue and entice. 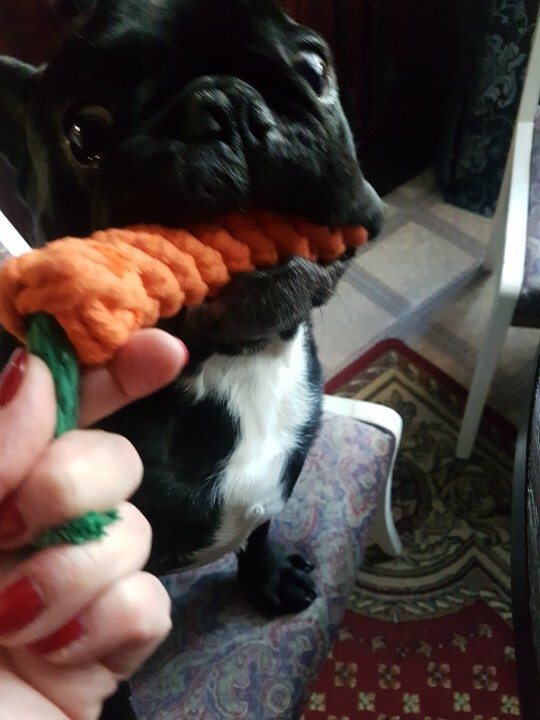 The perfect toy for games of fetch and for solo play. 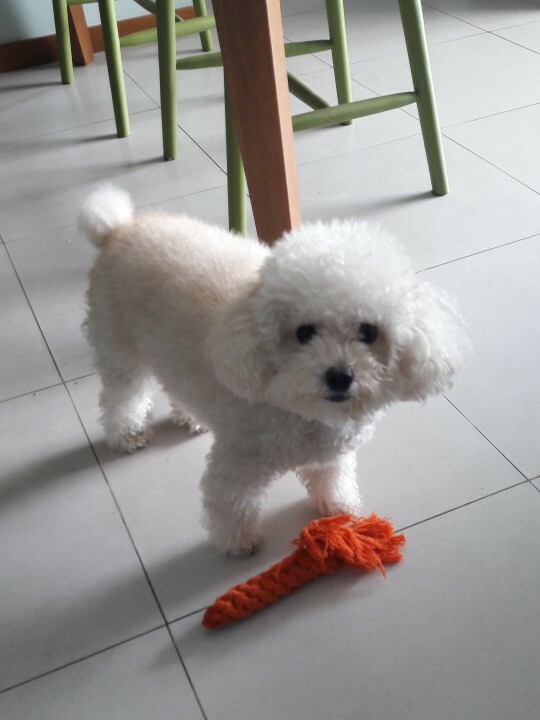 Great toy for relieving separation anxiety in pets who are left home alone during the day. Soft. Soft plush body invites snuggling and cuddling. Durable. 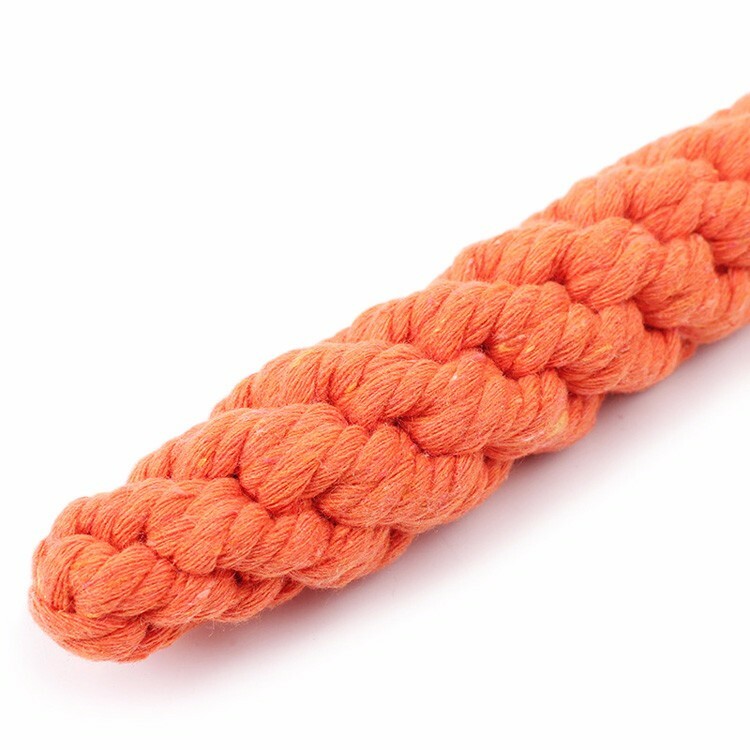 Braided cotton material for strength and long-lasting fun. Improves dental health. 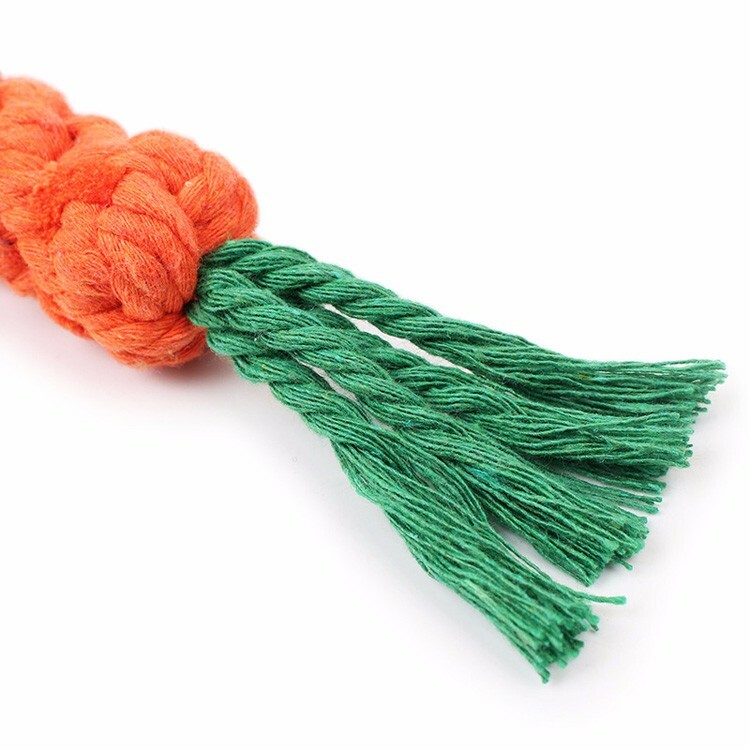 Rope fibers floss dog's teeth.